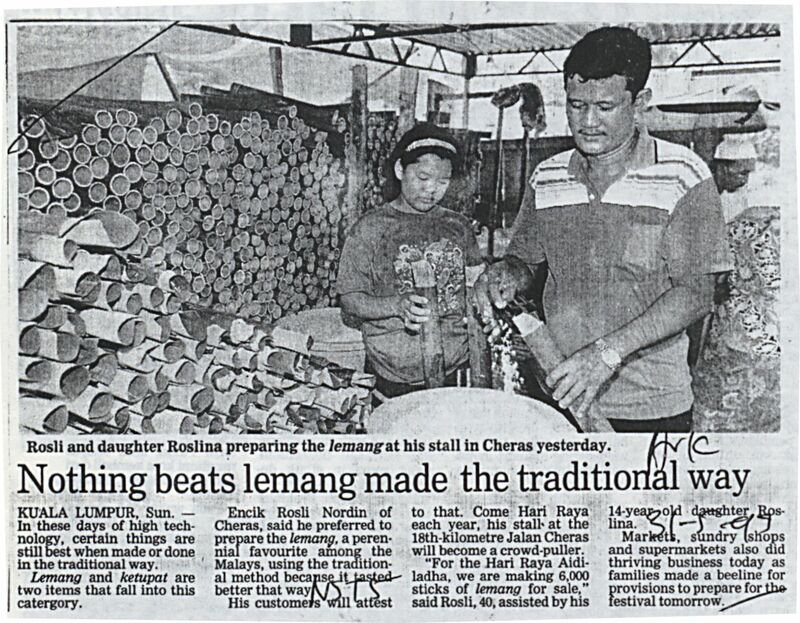 New Straits Times, Malaysia (1993) Nothing beats lemang made the traditional way. In: Adat Resam dan Kebudayaan 1993. University of Malaya Library.